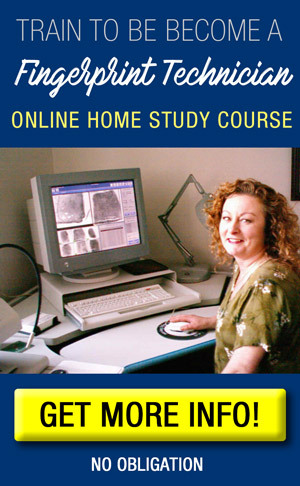 Fingerprint Technician Training is a hub for all of your fingerprint technician training needs. Whether you are currently starting your career in fingerprints, or want to advance your existing career, we want to make your life easier. There is now a high demand for fingerprint technicians in the U.S. With a rise in crime nationwide and the growing concern with apprehending criminals before they commit more crimes, fingerprint technicians play a vital role in this process. Criminal justice and forensics is a thriving job field, and we’re here to help you get in. We realize that many of you who are interested in becoming a fingerprint technician do not know what is required, or what the exact steps you must take in order to apply for a job. Additionally, many of you who are already fingerprint technicians may want to receive additional training to further your career, but not understand what your options are, and where you can get additional training from. This is why we created Fingerprint Technician Training – to guide you in this industry. What’s Unique About Fingerprint Technician Training? There are a lot of resources available online about how to become a fingerprint technician, however all of the websites we have come across are not very user-friendly. Sometimes, you don’t even know where to begin and those other sites can leave you even more confused than when you arrived. Our goal is to streamline the process and make it as easy as possible for you to get the information you need. We want to walk you through the entire process so you can focus on your fingerprint technician training, and less on what you need to do next.